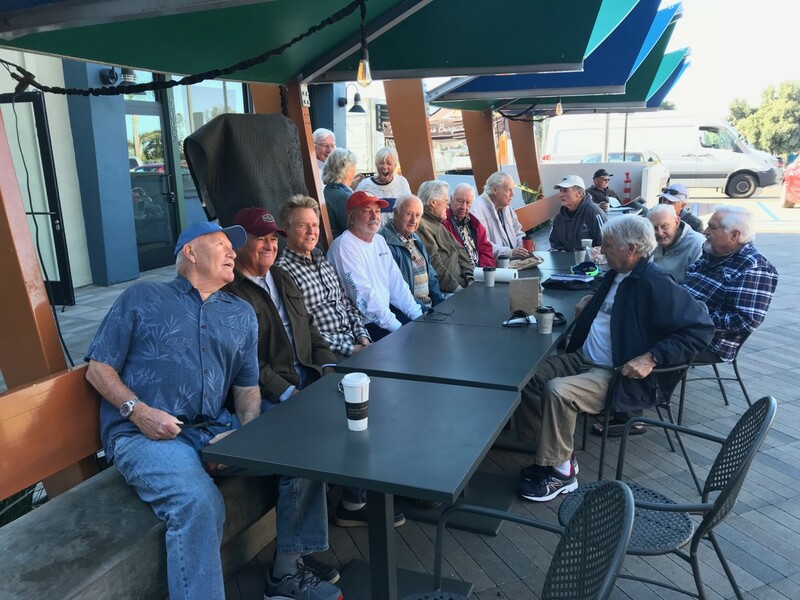 CARDIFF-BY-THE-SEA — The group of silver-haired Baby Boomers — “Cap,” “Kimo,” “Skip,” “Woody,” “Hat” and about a dozen others — sit across from each other at a long table. Coffee thermoses and cups line the tables as jokes and old stories fly across fast and furious, eliciting full-throated laughs. This is the scene every Tuesday morning outside of Seaside Market in Cardiff-by-the-Sea, as the group of men, who call themselves the “Tuesday Morning Gang,” or the TMG for short, have been meeting for a cup of coffee and a few laughs and stories about surf, retirement and the good old days for nearly two decades. The stories of these men — many of whom are noteworthy in their respective fields — are told in a recently released collection of anthologies written by one of their own, Charley Marvin. “The thought struck me that within the membership of the TMG, we have an extraordinary number of fascinating individuals,” Marvin writes in the “The Tuesday Morning Gang Anthology” preface. 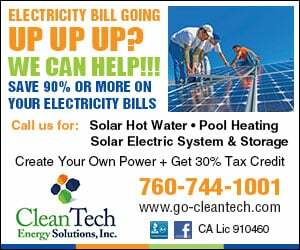 “Guys whose life stories were worth collecting and preserving for the individual members and their families. Among the group’s charter members is Bobby Beathard, whose name might ring a bell to National Football League enthusiasts. Beathard, the former longtime general manager of the San Diego Chargers and the Washington Redskins, was recently inducted into the NFL Hall of Fame. There’s also Jack “Woody” Ekstrom, one of La Jolla’s legendary surfers who popularized the Windansea Beach. The group’s members met on a recent Tuesday to unveil a personal copy of a portrait of Ekstrom, painted by Wade Koniakowsky, that is being displayed in the California Surf Museum. There are also pilots, doctors, military veterans, a fire chief, world travelers, entrepreneurs and other giants in their respective fields. Ekstrom said Tuesday that the Tuesday confabs are among the highlights of his week. “We all have something in common, and the fact that it is sort of like a brotherhood,” he said when asked what he likes about their informal gatherings. The men are generally split into two groups: roughly half hail from La Jolla, while the other half grew up in Los Angeles’ South Bay region. They all grew up surfing the waters along the California coast, a frequent theme of their conversations. Roy Bream and Skip Stratton were the group’s charter “members,” and would have weekly meet ups at Pannikin Coffee & Tea in Leucadia. Over time, men would see the group meeting, and want to be a part of it, and the group gradually grew from a handful to nearly two dozen. After a few years, they moved the meet up to Cardiff at Seaside Market, where they’ve been meeting ever since. The men, who range from age 71 to as old as 90, have seen members of the group come and go – some due to moves, like “Bill Taggart,” affectionately known as “Havasu Bill”; and others have passed away. The last of the 16 chapters of the book is dedicated to Jim “Kimo” Enright, who died in 2015. “The Tuesday Morning Gang Anthology” is currently in limited publication, Marvin said. He is determining if he will publish it beyond the 160 copies that have been distributed, which have gone to family and friend of the group.